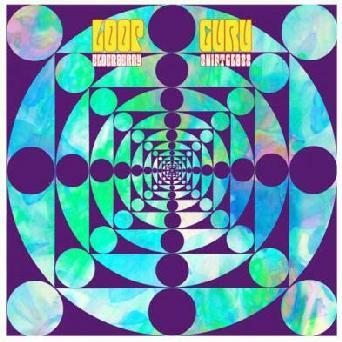 Loop Guru - "Elderberry Shiftglass"
This UK band has a long history and has made a lot of dance music but the duo really have taken a jump in a new direction with this, their 13th release! The music is very Beatles inspired 60's psychedelia with beats and strange samples (that start nearly every track). You get 20 tracks in one hour of music on this very cool CD. Very nice art and a great sound with loads of far out psychedelic titles to go along with the blast to the past. You can tell they had a lot of fun making this record. If you are expecting to hear the world music dance stuff the band has done, don't look here. This is quite cool 60's inspired psych music, without the rock. Is that possible?? For more information you can visit: http://www.elsewhen.org.uk.